As the authors went on holidays, from now on we’ll be presenting “replays” of the old strips. 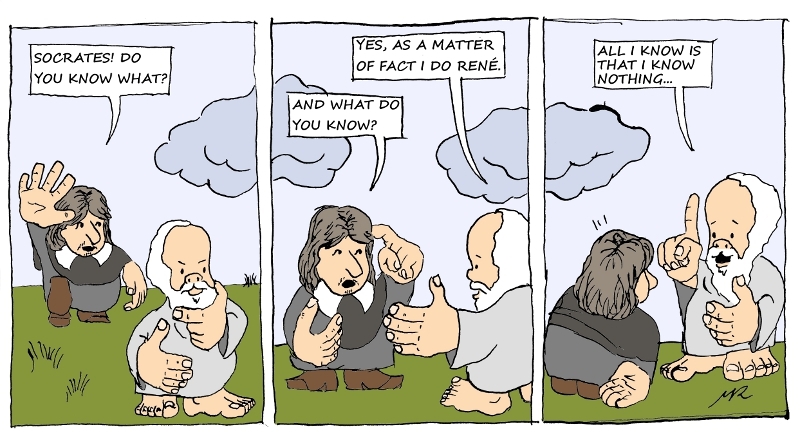 Today we show the firs strip and its remake done for the first anniversary of Da Philosophers. Until now, none of them were available in English as we started translating the strips only after one year of publishing. 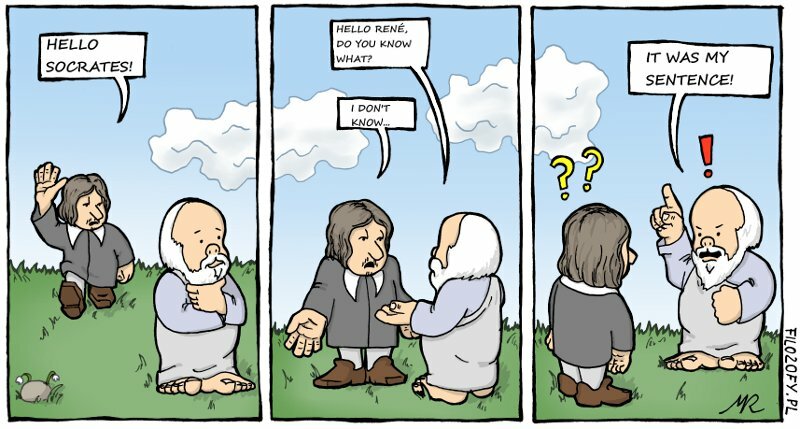 This entry was posted in Other, that is we don't know and tagged Rene Descartes, Socrates. Bookmark the permalink.